A naked procession in the middle of a snow storm! Practically naked men parade and pray for a healthy new year. The average temperature of Morioka in January is -2℃. 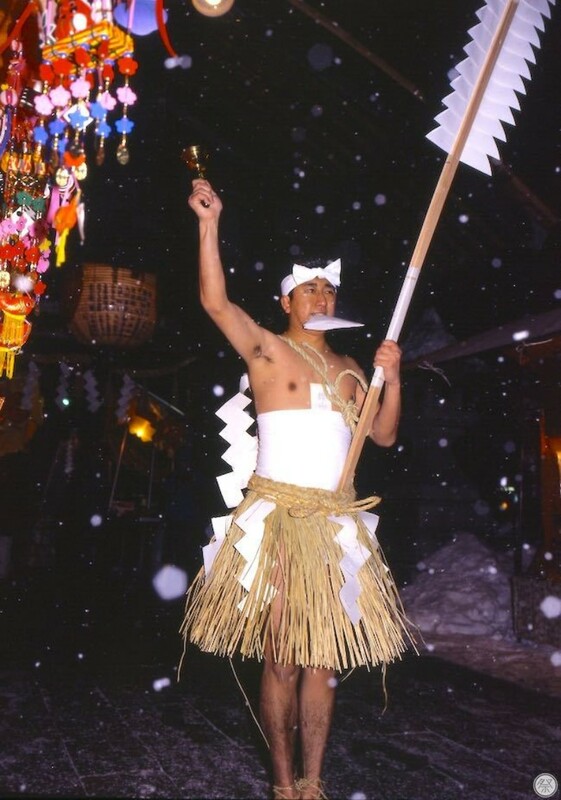 In the midst of a cold snow, local men form a procession to visit the shrine clad in nothing but their bare skin, wrapped in a cloth called "sarashi," a straw wrap called "koshi mino" and straw sandals, for what is known as the Hadaka Mairi, or "naked pilgrimage." 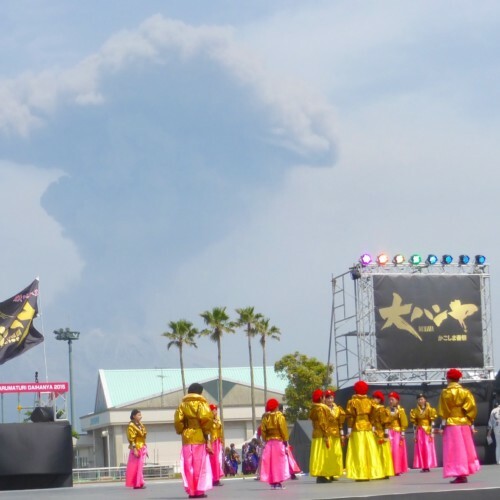 It is a form of "Kan Mairi," which is a winter visit to a holy place in hopes of receiving further blessings through enduring the harsh trip to arrive there. Some people visit with personal wishes, some in order to pray for a new year free of sickness and disaster, while others who are in their unlucky year, or "yakudoshi," visit to receive a cleansing of misfortunes known as "yakubarai." 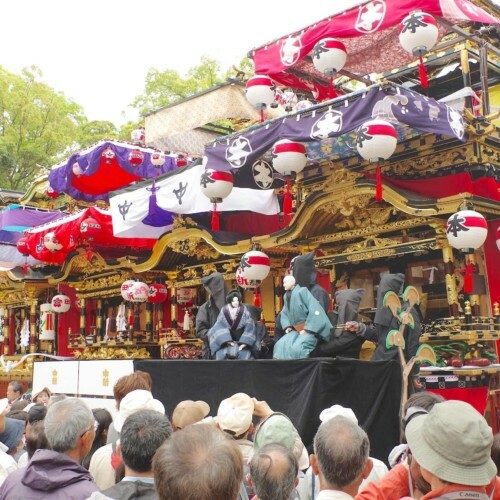 The festival's history goes back over 400 years and is still held in temples and shrines all throughout Morioka City. 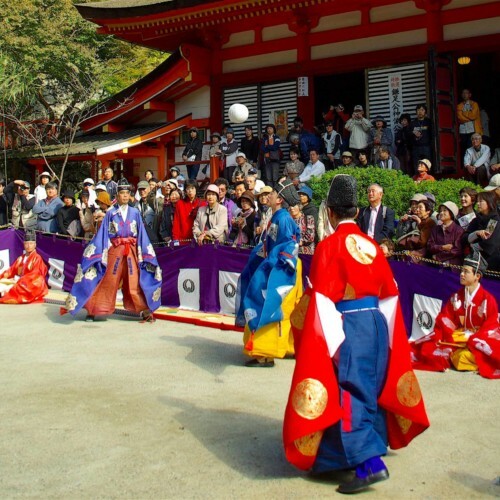 The oldest running Hadaka Mairi of them all is at Kyojoji Temple, while the largest and most famous one is at Morioka Hachimangu Shrine where over 130 pilgrims participate in the procession. 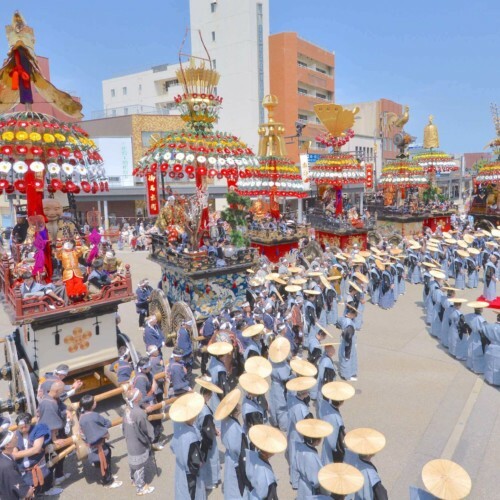 When the sun goes down and the temperature drops below zero, the visitors in the procession calmly walk in the "Yatsu Aruki" formation as they head toward their respective place of worship. Ringing handbells with every step, they sing rounds of melodies in unison that echo throughout the winter city. You can almost feel the solemness in the air as they walk step by step along the frozen road with wishes of prosperous days ahead. 1. Watchover as the men brave the cold! 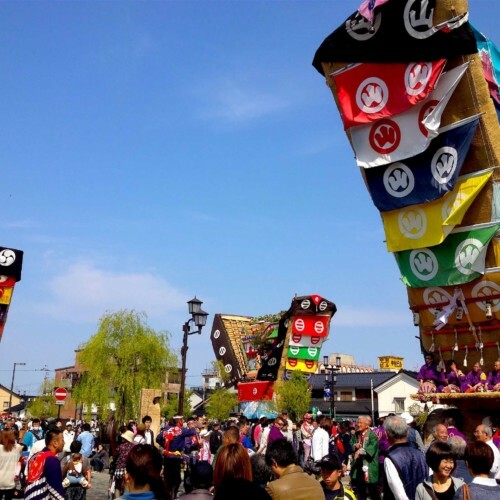 The pilgrims in this festival wear a cloth (sarashi) and straw wrap (koshi nomi) around their waste and straw sandals on their feet. The paper that they hold in their mouths contains a small amount of hot pepper which prevents the invasion of evil spirits. 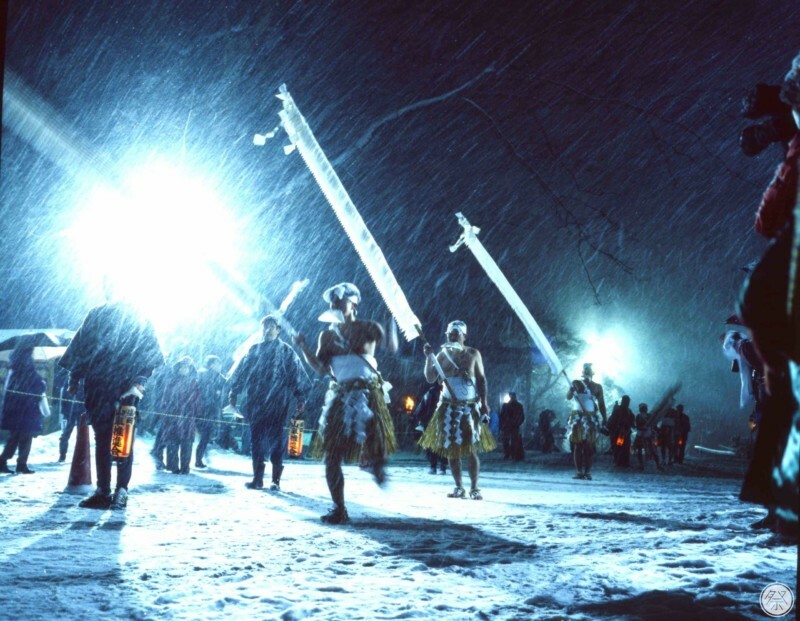 The long pole that they carry and swing side to side is called "hasami." The "heisoku" is the holy object made of paper sandwiched between to planks of Japanese cedar. In order to rid yourself of the human desires that disturb the mind, you carry 108 pieces, while 88 stands for a rich harvest. Come and watch over these men as they brave the cold until their skin turns red. January 12th, 2019, 4:00pm to 5:00pm. Jan 15th, 2019, approx. 4:30pm. Procession starts in front of the Kita Nippon Bank on the Sakanacho shopping street. Departs at 4:45. Groups depart every 15mins from there on. Last group departs at 5:45. January 26th, 2019, departures at 4:30pm, and at 5:00. Arrival to the shrine is at around 6:00pm. The 2017 festival has been canceled. Place Information inside the (parenthesis) refers to the path the procession takes. Restrooms Please use the restrooms offered at each of the temples and shrines. There are some that do not have restrooms regularly but will for the festival. Please dress warmly as it is very cold. Bus: Ride from platform 13 or 14 towards Senbokucho (15min). 5min walk from Senbokucho bus stop. Bus: Ride the "Byoin Mawari" Line from platform 12. Get off at "Morioka Shikaku Shien Gakko Mae" Bus stop, 5min walk. Bus: Take the "Dendenmushigo" from platform 15 (Right route, 3min). Get off at "Zaimokucho Minamiguchi," 3min walk. Bus: From Morioka Station ride from platform 5 towards "Chabatake" (15min ride), get off at "Hachimangu Mae," 1min walk. Bus: From Morioka Station take the "Dendenmushigo" from platform 15 (Left route, 7min), get off at "Morioka Castle Ruins Park," 3min walk. Bus: From Morioka Station take the Asagishi Line from platform 12 (20min), get off at "Kagano Kominkan Mae," 5min walk.